“After years of riding the kneeboard I hit a wall and found it extremely hard to learn any new tricks; until I rode the Denunzio. Now on my new board I’m pushing the limit of the sport and amaze even myself with the capabilities of this board.” –Marc Gray Pro Kneeboarder. 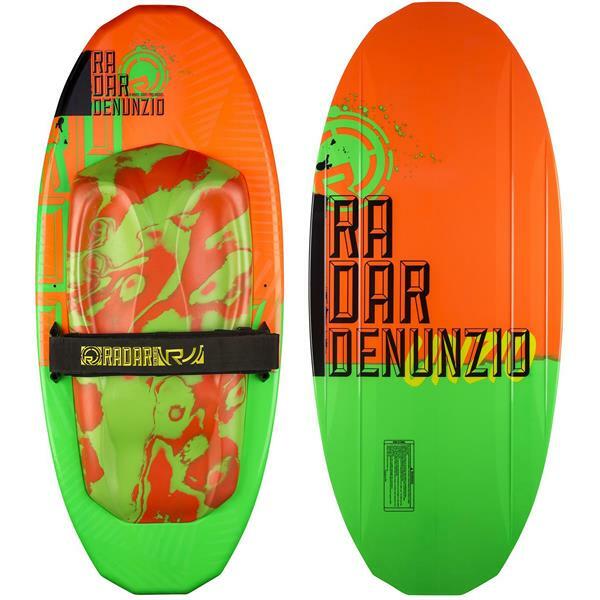 No other board on the water today turns and cuts as easy as the Denunzio. 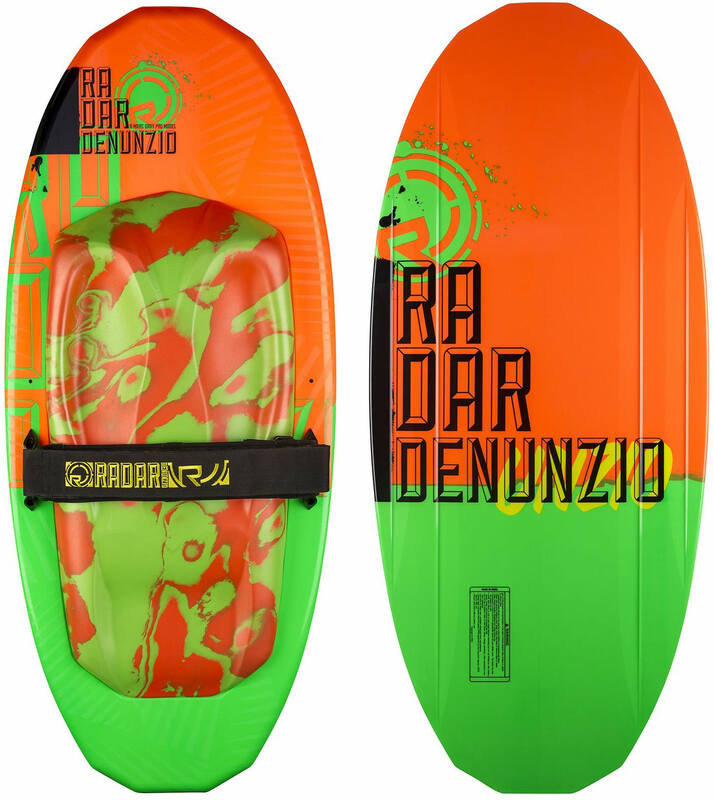 With maximum width through the body of the sidecut, the Denunzio also has a low drag coefficient and launches off the wake, yet still carves like a narrower slalom style shape. The redesigned pad is a kneeboarder’s dream and the most state of the art pad shape in the industry. Deeper knee wells and high angled footwalls hold you in place under the strap like never before. The new Denunzio pad has 4 layers of multi density EVA foam for maximum absorption. The 3-dimensional Ankle-Arch under your feet is a full 2.5” thick and stops hyperextension on big landings! The best board in the industry now has the best pad.